The quest for the grand price of N45million in the Big Brother Naija house has just ended for Anto. 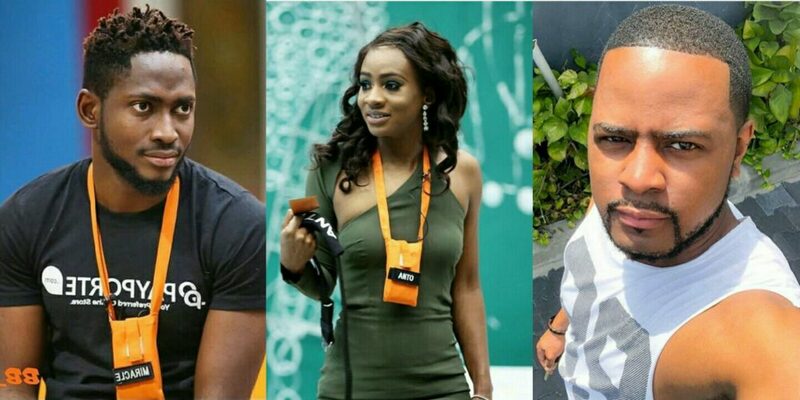 Alex, Anto, Bam Bam, Cee-C, Teddy A, Lolu, Teddy-A, Tobi were all put up for eviction after last week’s nomination. 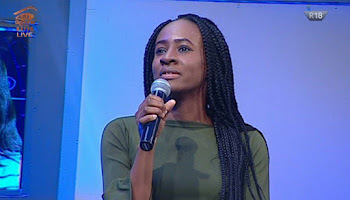 Anto gathered the lowest number of votes for the week which led to her eviction from the house. 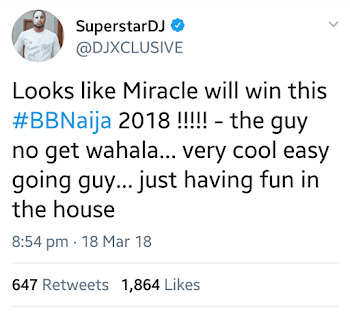 During the live eviction show, Big Brother housemate, Tobi was close to being disqualified from the house after misbehaving but was issued a strike instead. 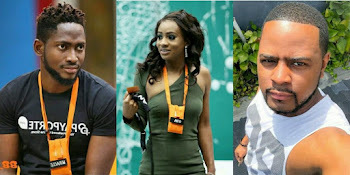 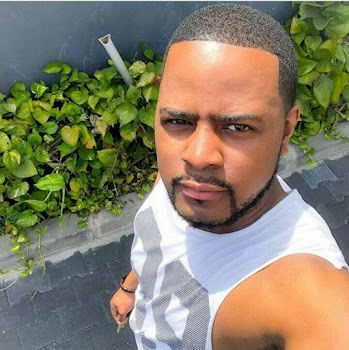 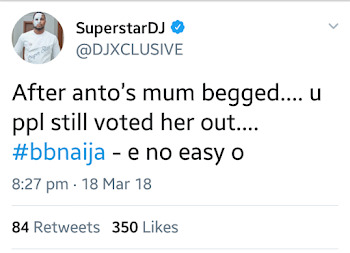 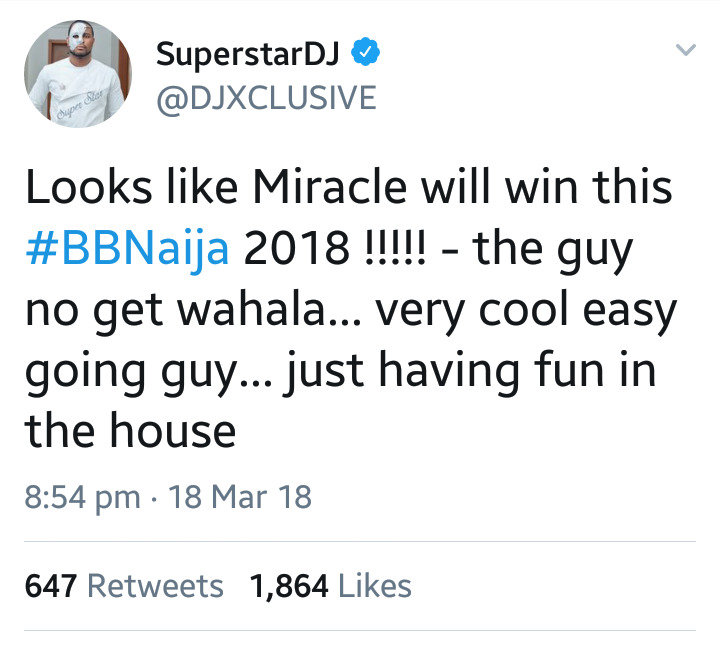 Meanwhile, Popular Nigerian Dj, Dj Xclusive has reacted to Anto’s eviction from the game last night. 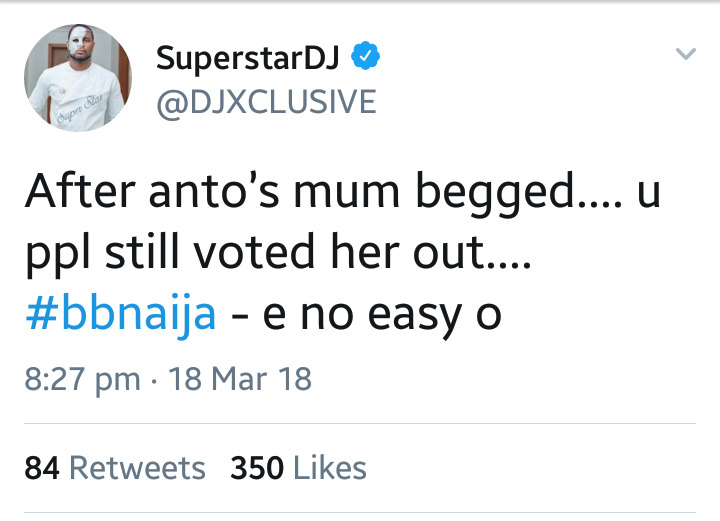 Taking to his twitter handle he recalled that Nigerians still had Anto voted out despite her mothers plea.